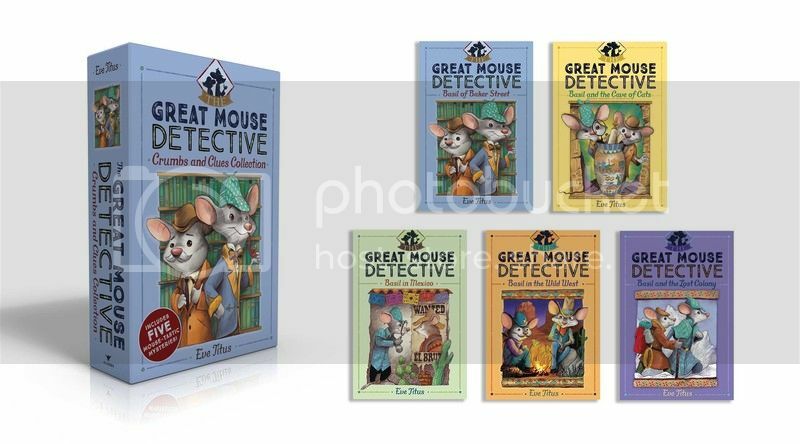 Named one of “13 Detective Book Series You Obsessed Over as a Kid” by Buzzfeed.com and the inspiration for a hit Disney film, the masterful Great Mouse Detective is back and ready to solve five of his most perplexing cases! Basil—the famous sleuth of mousedom—lives in the cellar of Sherlock Holmes’s house. A devoted admirer of the great detective, he has learned his craft by listening at the feet of Holmes himself. Join him as he solves some of his most mysterious cases with this collectible boxed set! 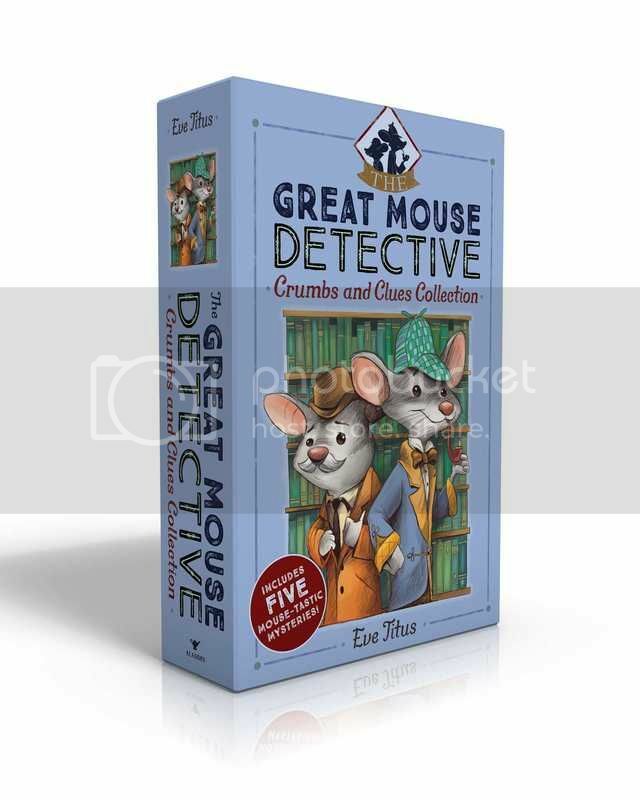 In Basil of Baker Street, Basil solves the mystery of the missing mouse twins, Angela and Agatha, using crumbs of clues! In Basil and the Cave of Cats, Basil sets off on a journey to the far east in order to solve one of the greatest mysteries of mousedom: Do miniature cats exist? In Basil in Mexico, Basil solves “The Case of the Counterfeit Cheese,” “The Theft of the Mousa Lisa,” and “The Disappearance of Dr. Dawson.” In all of these daring adventures, Basil proves himself to be a true disciple of his hero, Sherlock Holmes! In Basil in the Wild West, Basil is off to the Wild West to take on the Big Cheeses of American mouse crime! First stop: New Mexico; second stop: The Grand Canyon. And in Basil and the Lost Colony, Basil, the Sherlock Holmes of the mouse world, scurries off to solve the mystery of the Lost Colony in Switzerland. Where can it be purchased: From the Simon & Shushter official site.